Sitting at the entrance to Arinsal, the St Gothard is a peaceful place to stay with some lovely scenery to enjoy. The resort runs a shuttle bus to the lifts as they're about 1km away, but it stops right outside and runs regularly throughout the day. 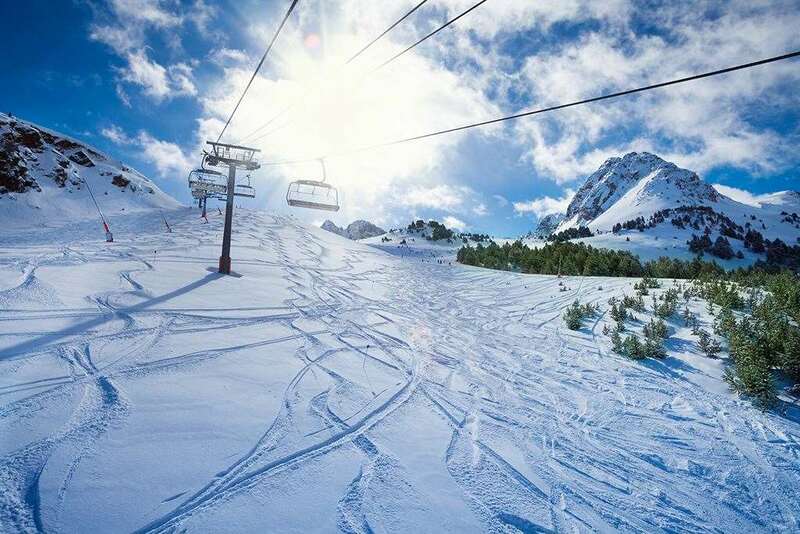 This hotel has all of the right ingredients for a relaxing ski holiday, including friendly staff, family friendly facilities and a lovely wellness area. There's also a cosy lounge with satellite TV for downtime as well, plus free Wi-Fi to stay connected. When it comes to relaxation, head straight to the sauna and then have a soak in the hot tub to sooth ski legs. If your muscles need a bit more pampering, treat yourself to a massage from the extensive menu. The hotel has a large restaurant and a friendly bar which makes for a nice spot to have a quiet evening in. Each of the 170 rooms are really spacious and can comfortably sleep between two and four people. All of the rooms come with satellite TV, a mini-safe and bathroom with a hairdryer and bath or shower. The standard rooms are perfect for couples and some of them have very lovely views. When it comes to the superior rooms, they all have gorgeous views of the surrounding mountains. Evening meal is a extensive buffet selection. Christmas & New Year Gala meals included. We're just back from a great family ski holiday. It's the first time we took our 5 year old so needed family friendly hotel/resort/slopes but also something which would keep an advanced snowboarder and intermediate skier happy. The hotel was fine, staff were very friendly, dinner was a different themed buffet every night which was ok, there are other bars and restaurants if you wanted a change, but after a hard days skiing and a fussy 5 year old buffet was welcomed. Rooms very clean, after reading other reviews we upgraded to a room on 4th floor at the back, nice views of mountains and (noisy) stream. The gondola to the slopes was a 10-15 min walk up a steep hill which we only did once! Fortunately there was a regular free bus up and down the hill which meant you could get to slopes in just over 5 mins. Ski companies have cages at the top so you don't have to lug skis down every day. Our 5 year old had ski lessons on 5 days, the teacher was excellent and Jake was skiing red runs with us by the end of the week. A very friendly place, not busy considering it was Easter hols, no queues, beer and food reasonably priced, snow was fine for early April but getting soft at end of each day as weather was so hot. Village is small and attractive, not too many bars and restaurants but that wasn't our priority for this trip. This is a nice hotel with friendly staff, especially in the dinning room. The food is nice with a good selection for all tastes. It is spotlessly clean and the only faults were that it doesn’t have a disco anymore or a hotel bus. The hotel is quite a walk from the gondola uphill there is a ski bus which makes it easier Great holiday only problems where the unknowledgeable reps which wasn’t helpful! Be advised switch maestro is not accepted here!